Potassium hydroxide is a highly corrosive chemical compound used in household cleaning products such as oven cleaners and drain openers and is also used for industrial cleaning. 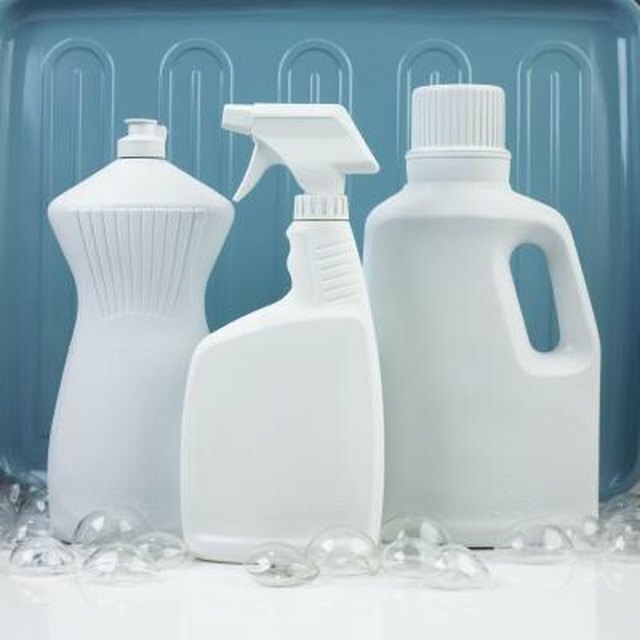 Many items in the household-cleaners section of your grocery store and retail store contain products that contain this chemical. Clean your floors with Murphy Oil Soap, which contains potassium hydroxide.Squirt a small amount onto the floor and wipe the floor in a vertical motion. To clean wood furniture, spray Murphy Oil Soap Spray onto a cleaning cloth and wipe down the furniture. Pour Enforcer 10-Minute Drain Opener into your clogged plumbing. The drain opener works in 10 minutes by dissolving hair and other waste that block plumbing. Carefully follow the instructions by pouring 1 oz. of the liquid into the drain. Once 10 minutes has passed, run cold water in the sink for five minutes to clear the pipes. Clean your oven using SprayPAK Oven Cleaner. Open your windows wide before cleaning your oven to allow fumes to escape and wear rubber gloves and a face mask. Using a damp sponge or clean cloth, wipe away any food that may be in the oven. Spray the oven cleaner until a thin coat covers the inside. Wash your dishes with Cascade Pure-Rinse Formula. Fill both the prewash and main-wash cups with the detergent and set the dishwasher to the standard cleaning cycle. If you have hard water it's recommended to add another cup to the dish load. Be sure to have all of the windows open when using heavy-duty cleaners to avoid illness from fumes. If you have skin exposure or accidentally inject potassium hydroxide or any product that has the chemical, call your city's emergency number or the National Capital Poison Center at (800) 222-1222.